What does Askari mean, details, origin, short & easy attributes? Askari pronunciation in 20 different native languages. Etymology. Askari is a loan word from the Arabic عسكري (ʿaskarī), meaning "soldier". The Arabic word is a derivation from عسكر (ʿaskar), meaning "army" in Arabic. Words for "(a regular) soldier" derived from these Arabic words are found in Azeri, Indonesian, Malay, Persian, Somali, Swahili, Tajik, Turkish and Urdu. Askari is baby boy name mainly popular in Muslim religion and its main origin is Arabic. Askari name meanings is Soldier. People search this name as Askari. Askari is written in Urdu, Hindi, Arabic, Bangla as اسکری, अस्करी, عسكري,عسکری, আসকারী. Other similar sounding names can be Askar, Asker. Popular personalities with Askari Name. Askari was born in 1516. He passed away in 1557. Askari was born on February 21st, 1963. Askari was born in 1940. He left this life in 2004. Ali was given the name Ali Abdullah Askari in 1936 in Iraq. He breathed his last breath in 1978. Sana Askari is an actress and model. Her ongoing career started in 2005. Sana was born Sana Askari in 23 in Karachi. 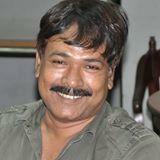 Harun-ur-Rashid was born on June 1st, 1965 in Rangpur District. Rouhollah was born on January 8th, 1982 in Borujen. Majid was born on November 8th, 1991.